First Packard to feature a steering wheel that was mounted on the right side of the car. It contained a spoke-mounted bulb horn, and the foot chime was continued as standard. A pair of Dietz oil lamps replaced the single solar lamp used on the Model B. Horsepower was now up to 12. The dos-a-dos body style was standard, with a forward-facing rear seat also available, in addition to a surrey. 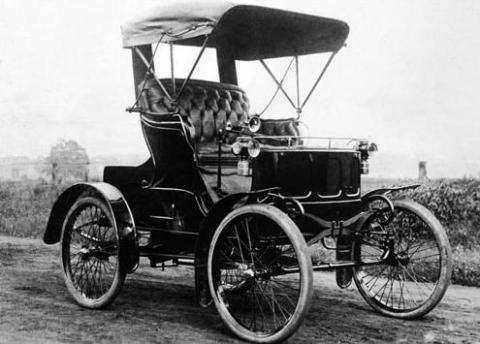 Top rated speed of the Model C was 25 mph, but Packard offered an optional third gear that propelled the car to over 30mph. Body Styles included: Single Seat Roadster, Dos-a-Dos Roadster, 4 Pass Surrey, Roadster with Rear Seat.